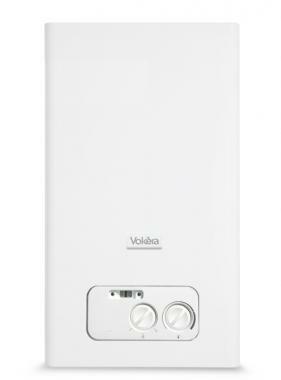 The Mynute 20 VHE is an wall mounted open vent regular gas boiler by Vokera. This unit is a condensing model that has an high output of 20kW and a high efficiency rating of 88.8% - making it an B rated boiler. This boiler is compact, with small dimensions, making it easy to install. It boasts a clever control panel that is able to set itself, allowing for extra comfort in your home. This boiler is open vent for central heating only but can provide domestic hot water if installed with a storage cylinder. It is able to operate with a wide range of accessories that it is compatible with, such as solar thermal, making it an even more efficient boiler. This unit comes with 2 years warranty to give that added security that you have a reliable boiler.